About The Brand – Votre is an Indian brand that was established in 2003. Brand’s aim was to make 100% botanical, vegan and cruelty free products. I read lot of reviews, heard lot of things before actually I got one Votre Serum for myself. 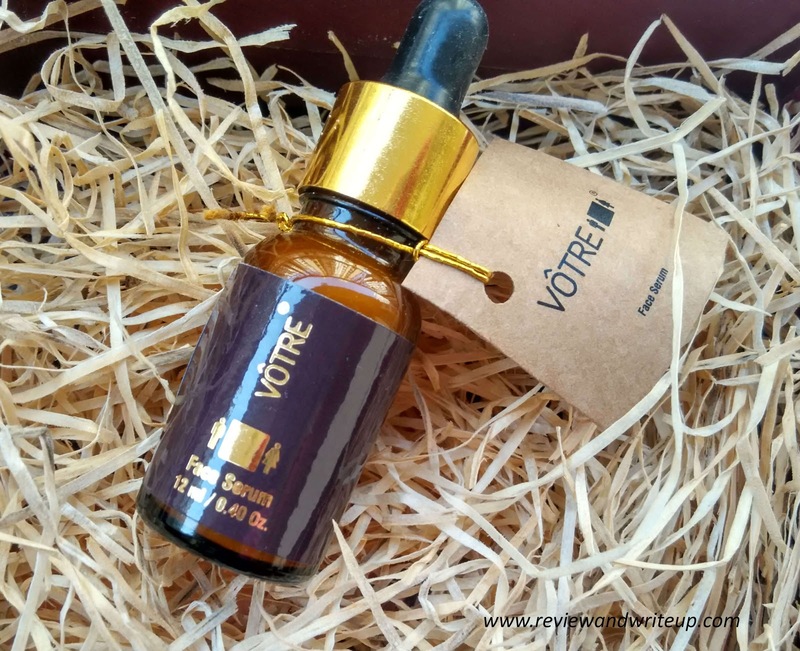 Votre Facial serum is creamy white in colour and in liquid form. I tried using its dropper to get few drops but trust me using a dropper in a small bottle is a task. So now every time I have to use, I remove the lid. It smells good enough to refresh your senses instantly. I used this serum in the evening for two weeks (that’s the max time this 12ml bottle will last for). 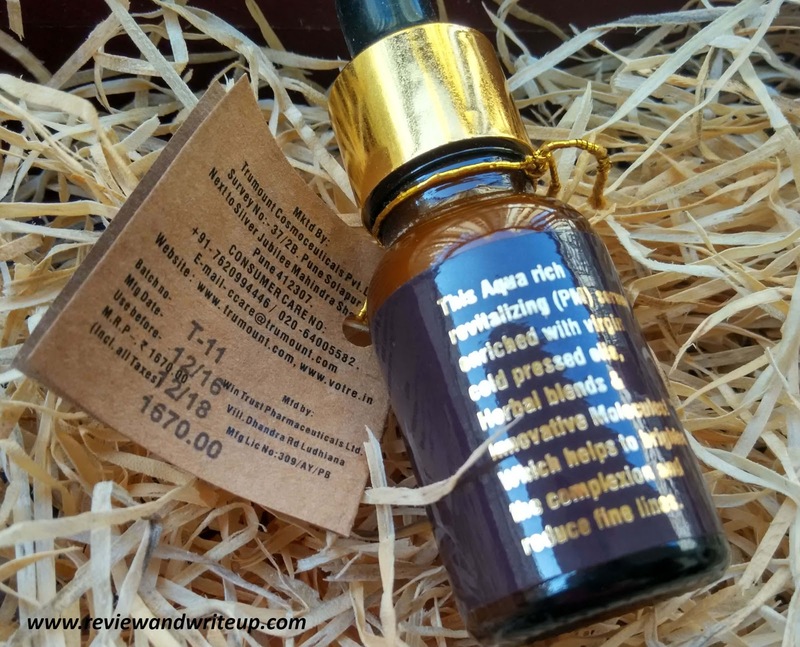 I felt difference in my skin after one week that it boosted my facial skin cells when my skin was experiencing some dullness due to this scorching heat. 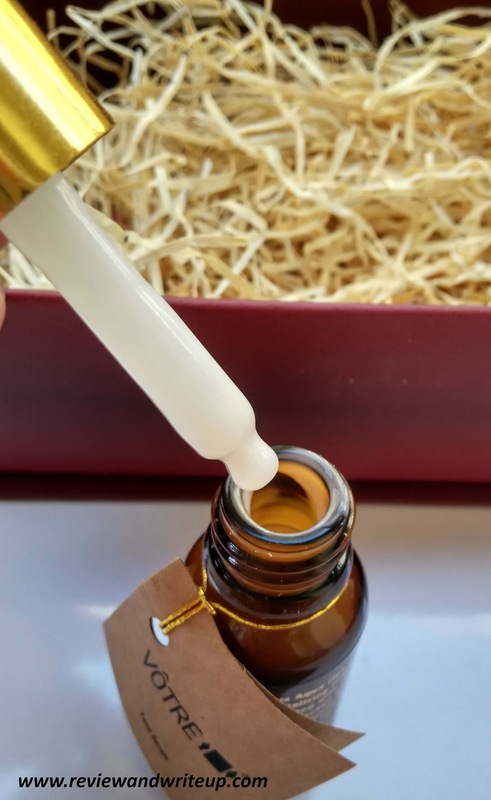 This serum was definitely helpful in making my skin look visibly clear and bright. Since my skin is oily so I needed only few drops for one time use. For a dry skin person this serum is not enough as it lacks in moisturizing properties. Dry skin people need extra serum and this will be finished before you realize how it fared on your skin. I have invested in various serums and creams but I didn’t find this serum and its results to be different from some other less expensive ones I have already. Because when you invest in an expensive product you want it to do way better than any other product. In short I am not convinced by this serum to the level that I am willing to spend extra bucks on this. It is good for my skin but I can’t afford to pay so much extra in every fifteen days. I wish Votre can do something about their price. But if you can afford Votre Serum then you can consider buying one. 12ml is priced at Rs. 1,670. If you ignore price factor, it is a great product otherwise.